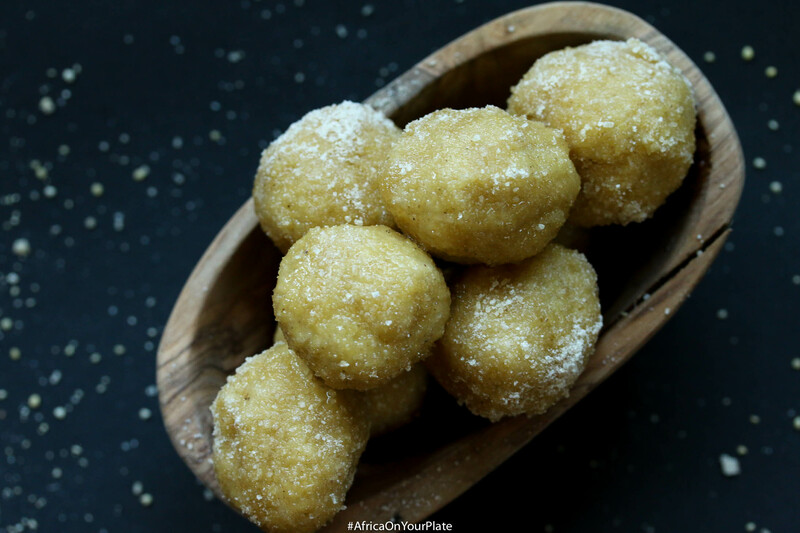 These African ginger millet cereal balls, known also as fura de nono, and served in a natural yogurt base make for the perfect snack or light lunch. 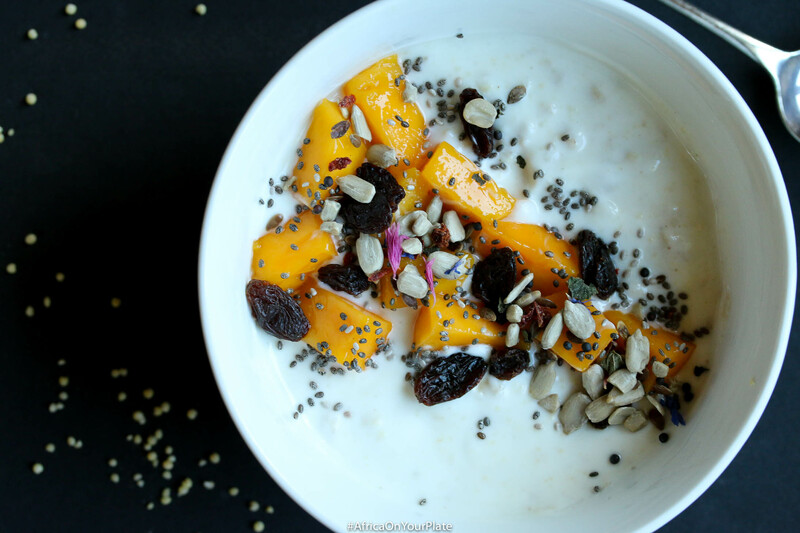 Last week, I talked about how to make millet two-ways, and while I am on that subject, I might as well introduce you to this African Ginger Millet Cereal (Fura de Nono) which is the millet dish I cut my teeth on! African Ginger Millet Cereal (Fura de Nono) is a gruel of milk and millet, and is typically pedalled in calabashes and sold by female street hawkers. It is the quintessential street food in much of Western Africa, given how prolific millet is across the Sahel region of Africa. This Millet and Milk snack is such a popular street food and local delicacy that it is a common sight at street markets or busy road junctions, to see the fura de nono sellers, beautifully adorned with their tribal beads, and surrounded by swarms of hungry men, women and children. Fura is the name of the cooked millet, which is often spiced with ginger and chilli pepper. In Northern Nigeria and Burkina Faso, the spice mix includes cloves, while in parts of Northern Ghana, the spice mix includes grains of paradise, or alligator peppers. 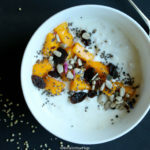 Nono is the fermented milk that accompanies this traditional dish, and t has a flavour that is something in between that of buttermilk and yoghurt. Traditionally, the fura is moulded into balls, the size of which is anywhere between a golf ball and a tennis ball. The vendors keep the fura balls and the nono separate, until a sale has been made. Just before serving, they would mash the fura millet balls into the milk, mix well and serve. I’d heard so much about Fura de Nono before I ever tasted it, and when I did, my 13-year old self registered an immediate ambivalence towards the cereal stemming from the fura millet balls – which was a shame because millet is a highly nutritious and easily digestible grain which helps to lower cholesterol, protect against cardiovascular diseases and reduce cancer risks. Millet is a highly nutritious and easily digestible grainClick To Tweet . Somehow, I guess my 13-year old brain was just wired in a way that was not sympathetic to the flavour combination of cloves, alligator peppers and fermented milk. The good or bad thing, depending how you want to look at it, about my adult brain is that it is still unsympathetic to the above flavour combinations, and so in recreating this much-loved classic, I have omitted the alligator pepper, and replaced cloves with cinnamon. It’s a lesson on how to take something from good to great! 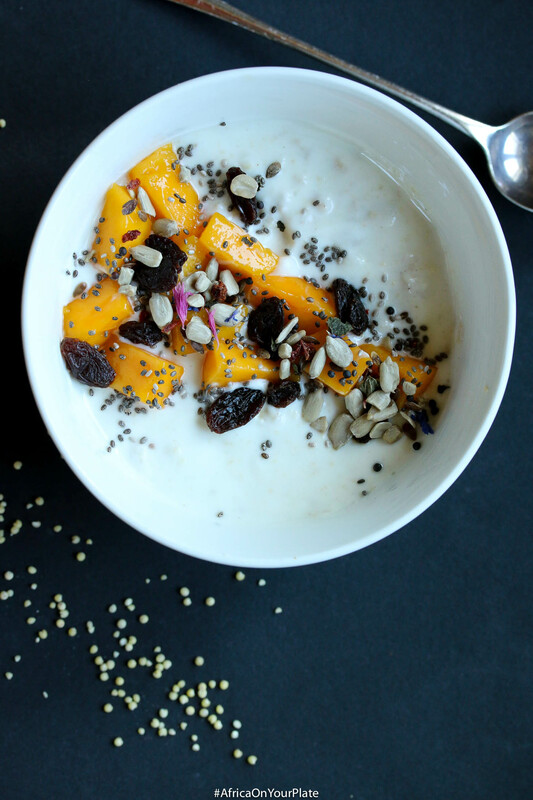 This African Ginger Millet Cereal (Fura de nono) may not score very high on the purists’ scale of authenticity, but what it lacks in authenticity, it makes up for in taste! Place the 100g millet in a large bowl, and then add 200ml of boiling water to the millet. Add the ginger and cinnamon spices to the liquid, then cover and allow to sit for 15 minutes. Decant the liquid and its contents into a blender and blend on high speed for a few minutes until the millet is pureed into a watery smoothie-like consistency. 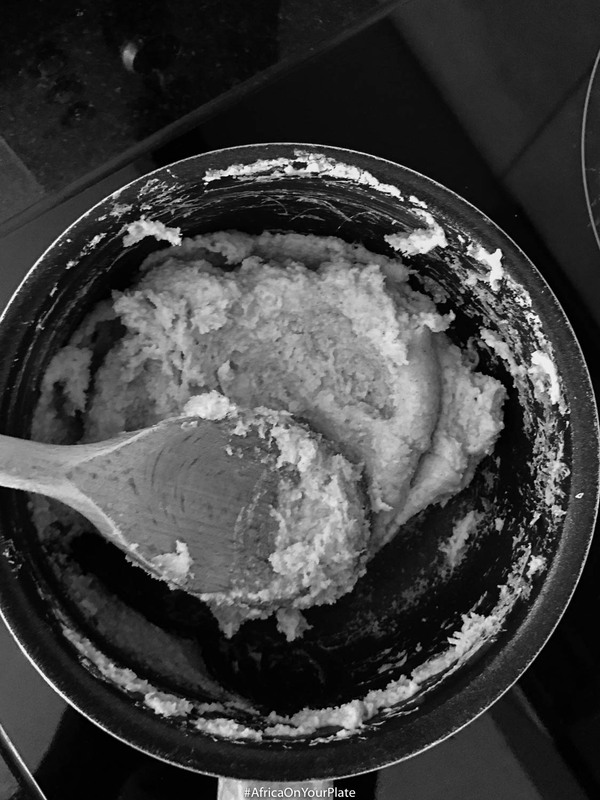 Transfer to a saucepan, add 2 tablespoons of desiccated coconut and simmer on medium heat while stirring consistently to avoid lumps, until the watery liquid congeals to the consistency of raw pastry which is ready for kneading. 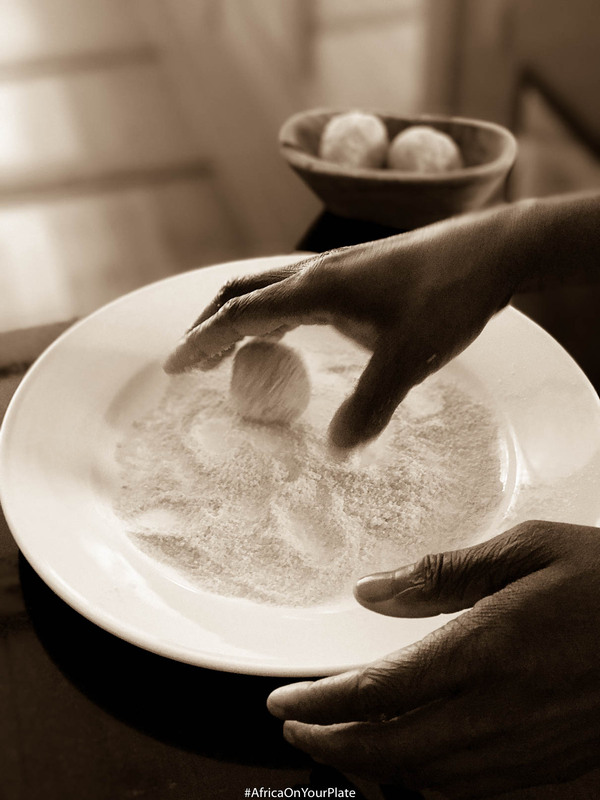 Using your fingers, shape the millet paste into balls, then dip the balls in the raw cane sugar and set aside. 100g millet should make approximately 9 millet balls. To serve, to 3 millet balls, add 100ml of natural yoghurt. Mix well, and top with any fruits and/or nuts of your choice. 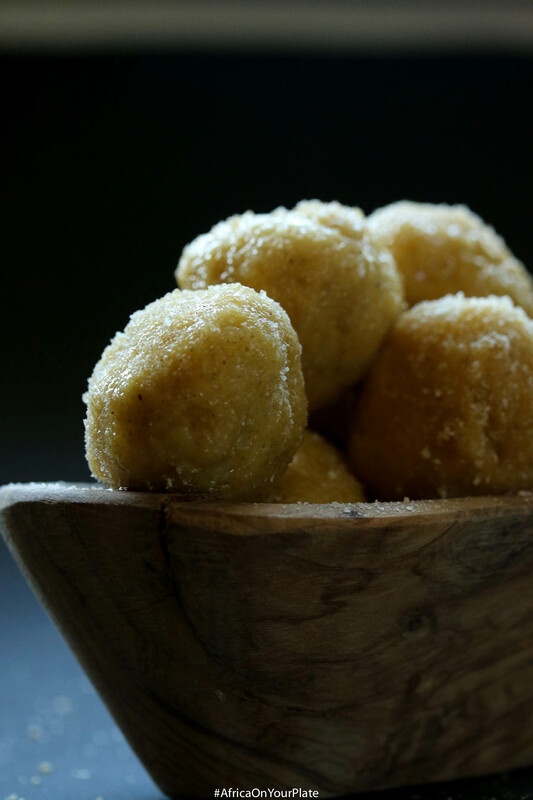 If consuming later, roll the millet paste into balls, and refrigerate. Do not dip in sugar until ready to consume. Have I tempted you enough to try this recipe out? 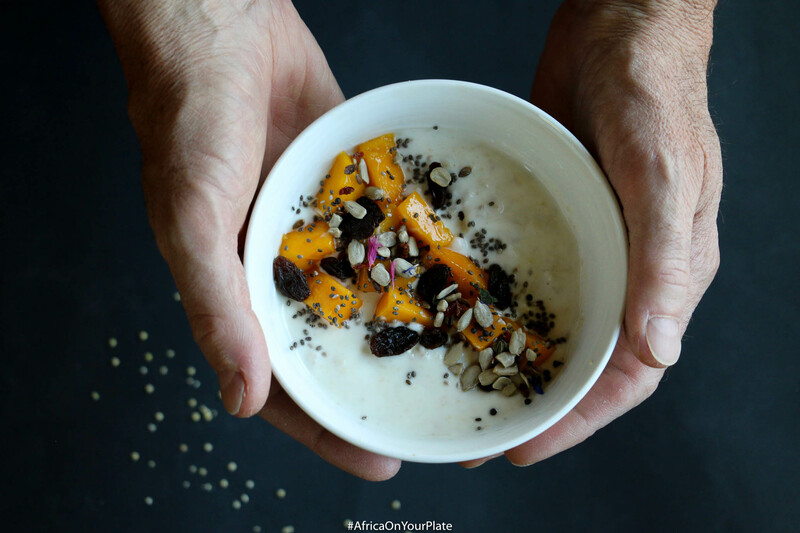 Please share your photos with me on Instagram with #AfricaOnYourPlate!